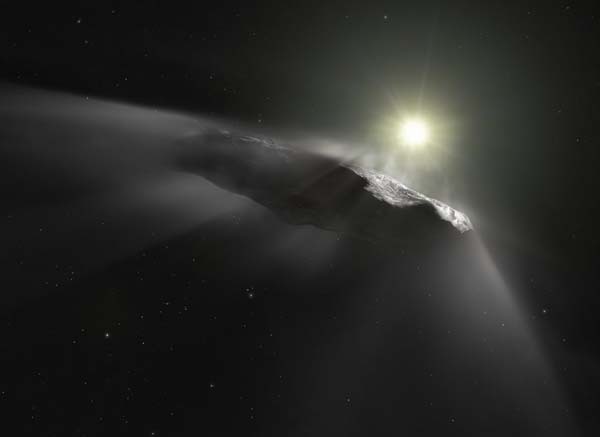 PASADENA, Calif. (NASA PR) — In November 2017, scientists pointed NASA’s Spitzer Space Telescope toward the object known as ‘Oumuamua — the first known interstellar object to visit our solar system. The infrared Spitzer was one of many telescopes pointed at ‘Oumuamua in the weeks after its discovery that October. GREENBELT, Md. (NASA PR) — The first interstellar object ever seen in our solar system, named ‘Oumuamua, is giving scientists a fresh perspective on the development of planetary systems. 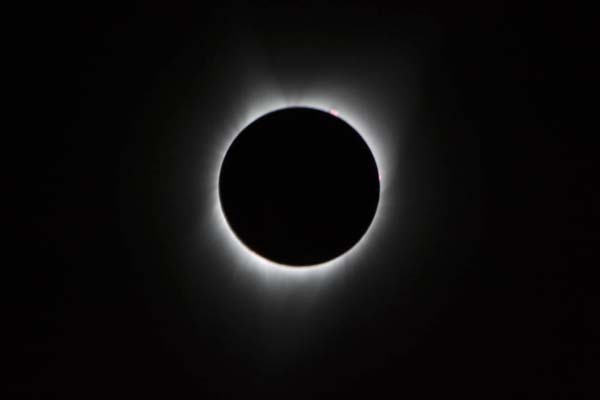 A new study by a team including astrophysicists at NASA’s Goddard Space Flight Center in Greenbelt, Maryland, calculated how this visitor from outside our solar system fits into what we know about how planets, asteroids and comets form. SAN FRANCISCO (Breakthrough Initiatives PR) – Breakthrough Listen – the initiative to find signs of intelligent life in the universe – is reporting preliminary results and making initial data available from its observations of the “interstellar visitor” ‘Oumuamua1. 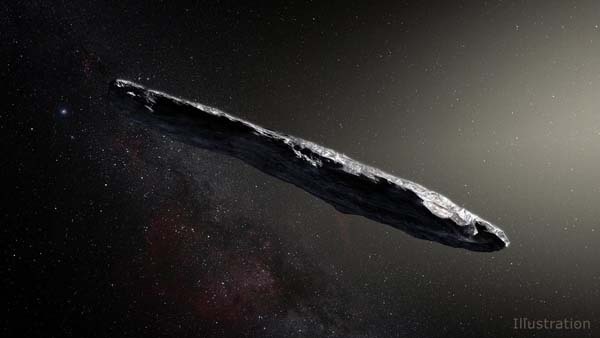 PASADENA, Calif. (NASA PR) — Astronomers recently scrambled to observe an intriguing asteroid that zipped through the solar system on a steep trajectory from interstellar space-the first confirmed object from another star.